When it comes to boosting fertility and making the lifestyle changes that make a BIG difference – it is the steps you take on a daily basis, every day, that make the biggest impact. This is how everyday decisions can add up to something amazing. The challenge is for 21 days. We have 5 important things you should add to your current diet EVERY SINGLE DAY. We call these the Important 5. 1. Drink 1 quart of water first thing in the morning. You can add squeezed lemon to this if you would like. 3. Eat one big green salad per day. 4. Eat one dark leafy vegetable every day. Swiss chard, kale, spinach, etc. The 21 Day Fertility Diet Challenge eBook: Support to Get Started! This 125-page eBook is perfect for those of you whom healthy eating is new and overwhelming; but is also helpful for those of you who may need some new ideas and recipes for your fertility diet. I created this eBook in a way to help you every single day during your diet challenge to know what to eat and how to prepare these foods. It offers enough variety that every palate will be satisfied during the 21-Day Fertility Diet Challenge. This eBook includes 21 smoothie recipes, 21 juice recipes, 21 salad recipes (including fertility friendly salad dressings) and 21 dark leafy green recipes. It also includes a breakdown of the Important 5, tips on how to make menus and plan out your meals, how to make a great smoothie, how to make salad prep easy, and much more. I am 48 and been through 7 transfers. I’ve done PGS testing, so only transferred healthy embryos. I am struggling to get my lining to 7mm or above. Do you think this could help? There are great health benefits to eating a healthy whole food diet. I can not be sure that eating well alone will be all that you need to support healthy uterine lining thickness. But eating well is important no matter what, so do try the diet challenge. We have a detailed guide, Thin Lining of the Uterus: Build the Uterine Lining Naturally that may offer tips that resonate with you as well. Hola me llamo Sara, me interesa el libro, ¿lo tienen en español? can u tell me what to do after those 21 days? One could continue on with the challenge beyond 21-days! That is the hope. Consider learning more about eating a Fertility Diet from our guide The Natural Fertility Diet: How to Eat for Optimal Fertility. Do you still have the group challenges?Have you considered a FB group? We do have two group challenges here, this 21Day Fertility Diet Challenge and the 10 Day Fertility Smoothie Challenge. It’s just that they are done alone (although many are participating at the same time). We do however has a very exciting new Natural Fertility VIP Community coming very soon! We are so excited! It is a community of women coming together to uplift and support one another, while receiving expert fertility education, live classes and professional guidance. And yes, live challenges! 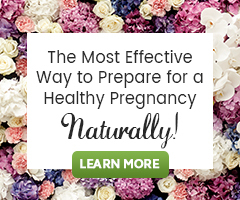 Click here to learn more and join our Natural Fertility VIP Community! The diet here is great, yet we share much more helpful information for you in our guide How to Reduce the Damaging Effects of PCOS on Fertility Through Diet and Herbs.